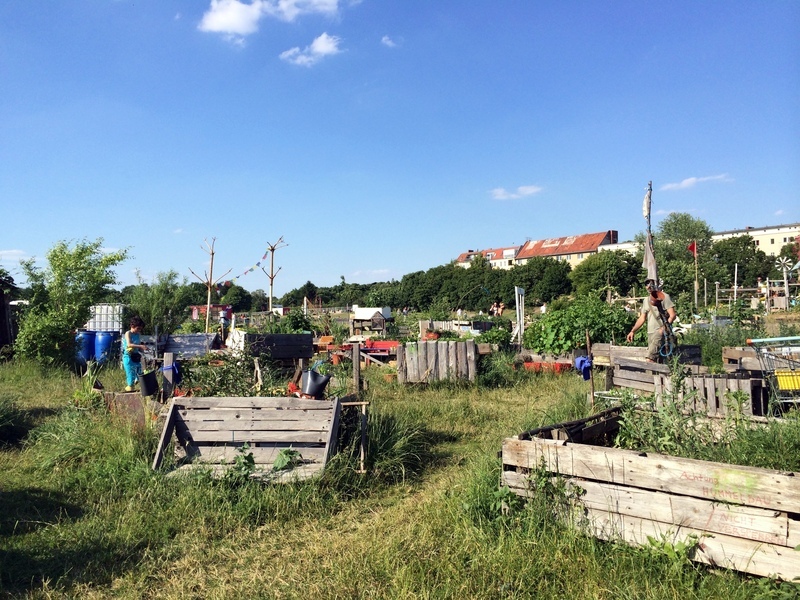 As I've mentioned before, Berlin has an old airfield which they've just decided to keep as public open space instead of building more housing. Yesterday, I met up with my friend Mehregan who spent a year as a volunteer in Philadelphia and Camden. Since she lives pretty close to the Tempelhofer Feld, we decided to go there, and it was really was amazing to finally see the what airport turned park looks like. It's a huge open space with a small community garden off to one side of it, but the rest is really just an enormous grassy space where people can hang out, picnic, barbecue, and relax. It was very sunny and hot yesterday, and I would have liked to sit partially in the shade, but there are no trees (yet)! Even though Mehregan and I haven't seen each other in years, it felt like we were able to pick up just where we left off and talk about the really important and meaningful changes and conundrums going on in our lives right now. It feels really amazing to be able to do that, and in the middle of an enormous former airplane field under a brilliant blue sky was a gorgeous place to do it.